If there’s one thing LOMO knows how to do very well it’s bags, they’ve been doing this since early days of the company and have been perfecting their craft since then. 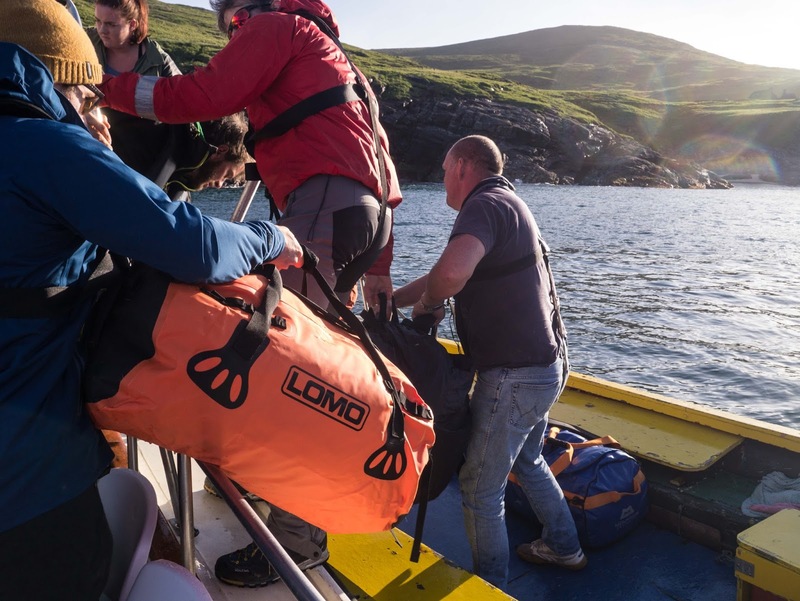 The current bag range currently includes the Dry Bag and the Blaze Expedition Holdalls in the 60L size category, an ideal size for short expeditions and weekend trips where a lot of gear needs to be carried. Blaze Expedition Holdall – Zips not waterproof, sealed seams, multiple tie down points, tougher fabric, can be carried as a rucksack, useful for travelling (i.e. trekking trips, ski trips, expeditions). Dry Bag Holdall – 100% Waterproof, single shoulder strap, two handles, ideal for water sports, better suited to activities where digging about in the bag is not required (single dry bag style opening). The LOMO Dry Bag 60L Holdall being loaded onto the Boy James on a trip to Mingulay, Outer Hebrides. The Dry Bag Holdall has a lower price point than its Expedition counterpart due to the simpler construction (i.e no rucksack straps, no inner pocket). It is a basic bag with a single large opening and a dry bag closing system with two convenient compression straps. In short, it is a no frills large dry bag with a tough fabric with an excellent price point. Due to its simplicity, there are not many things that can go wrong with the bag and at under £30, there are very few things to fault. We did note that the fabric was slightly less abrasion resistant due to its textured nature over the Expedition bag (smooth), the difference is however very minor and would not affect the choice of one bag over the other. Expedition Holdalls need to satisfy two conditions to be effective holdalls, they need to be tough and they need to be transportable. The Blaze Expedition Holdall manages to achieve both these things whilst giving the added benefit of being more water resistant than other manufacturers and being significantly cheaper (i.e £105 for TNF - or £90 for Mountain Equipment ). LOMO has given this Holdall the added benefit of sealed seams which makes it almost completely waterproof with the exception of the zip. Although the non-waterproof zip means the bag is susceptible to leaking under a complete immersion (which almost all other bags are liable to as well) it means that the bag can be left outdoors in the rain without a risk of wetting inside. 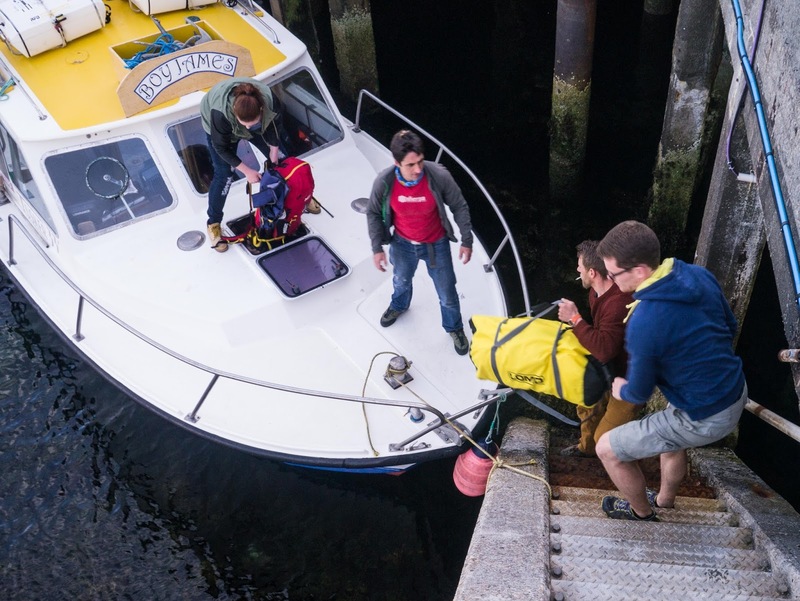 We tested this by leaving it out in all weather for a week on an isolated island in the Outer Hebrides and were pleased to see that our stuff stayed dry. The only other bag we can identify which outclasses the LOMO Blaze Expedition in waterproofness is the Arc’teryx 55 Carrier Duffel but it comes in at the hefty price of £120 which is significantly higher. 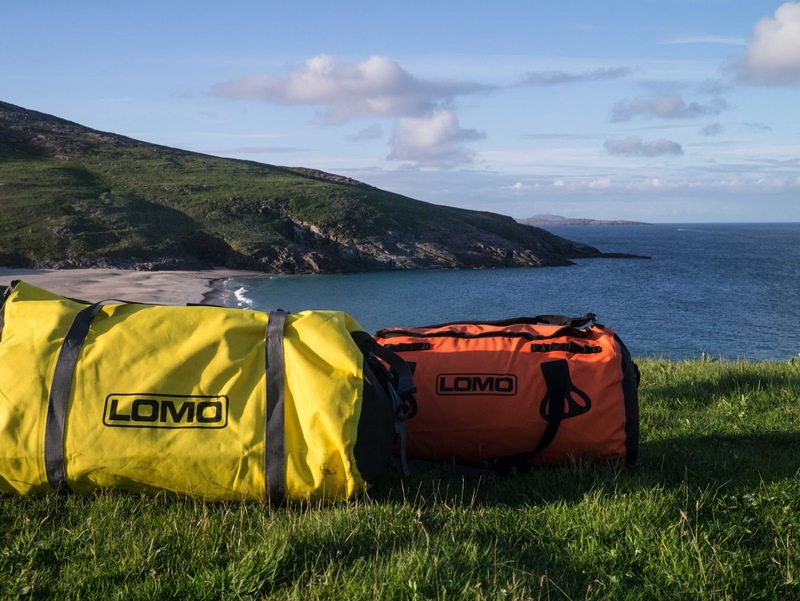 In summary, two excellent bags from LOMO offering good value for money. Things we like: Value, sealed seams on expedition bag, simple and practical. Things we don’t like: Lack of available colours.